The Board of Directors, top Management echelon, consisting of the founder entrepreneurs/ successors, provides the policy and strategic support and direction for the entire range of the corporate activities. Mostafa Quamrus Sobhan is the Chairman of the company. He has completed his Bachelor in Business Administration from the Nottingham Trent University of UK. He has completed Masters in Business Administration from the Maryland University. 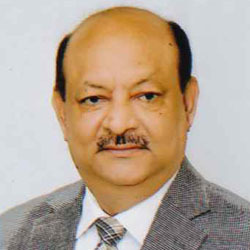 He is Director of the following companies - Rupali Insurance Company Ltd Dragon Sweater Bangladesh Ltd CD Acrylic Bangladesh Ltd. And also associated with different chamber bodies like KBCCI - Korea Bangladesh Chamber of Commerce and Industry BGCCI - Bangladesh German Chamber of Commerce and Industry Cancham - Canada Bangladesh Chamber of Commerce and Industry Chairman - of BGMEA standing Commitee. Mostafa Golam Quddus is the former President of Bangladesh Garments Manufacturer and Exporter Association ( BGMEA) and member of Geneva Convention on Child Labor Commitee, BGMEA . Mr. Mostafa Golam Quddus is widely known as teh pioneer of Bangladesh's sweater industry. He is also the Chairman and main sponsor of Rupali Insurance Company limited holding about 34.5 % shares of this company along with his family members. During his long business experience of 25 years he has gathered vast knowledge in modern method and technology in production , marketing and management of textile and knitting industries. He has travelled many countries of the world such as USA, Japan, China , Australia , EU, India , UK, Saudi Arabia , Hong kong , Singapore and Canada for the purpose of the business and to enrich his knowledge and experience during the period mentioned. 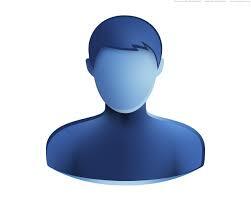 He is associated with a number of different social welfare organizations. 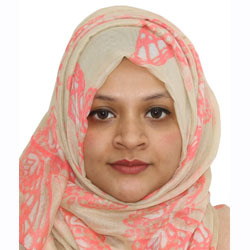 After completion of her Bsc Hons and MA in Business Management and Applied Mathematics from University of Glasgow UK, she has engaged herself in the operational side of this busines. 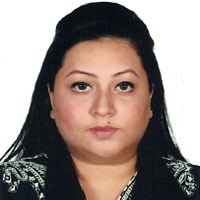 Mrs Tania had taken 4 years of extensive training in the field of sweaters and spinning as an employee in the business and then have been designated as the Director Operations of teh company and in teh process acquiring vast experience and knowledge from teh interaction between International Buyers and local associates . She has travelled many countries to enrich her knowledge and experience . She is a successful women entrepreneur with extensive experience and management skills . 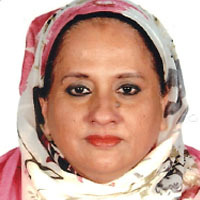 She has been running one of the first retail Socks company of Bangladesh since 1990. Mrs. Nessa has completed her Bachelors in Arts from Chittagong University in 1989. 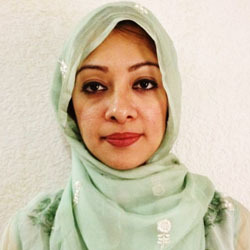 She has been an active member of BGMEA and stands as Vice Chairman of Women's Affairs Committee of BGMEA. Besides being a successful entrepreneur she has travelled many countries of the world such as USA, Japan , China , Australia , EU , India , UK , Saudi Arabia , Hong Kong , Singapore , Canada for the purpose of the business and to enrich her knowledge and experience. She is a business graduate form North South University . Upon finishing her studies she has been involved in teh development of business of Dragon Sweater and Spinning as its Director. She is also Director of CD Spinning Mills limited and Perag Socks Industries . Her depth of understanding of emerging business and technology has made herself busy for the promotion and development of the company. She has travelled many countries of teh world such as USA, China , Australia , EU , India , Saudi Arabia , Hong Kong , Singapore and Canada. She has always been a meritorious student and she has finished her schooling from Fern Hill international School Glasgow after which she completed her Undergraduate degree from North South University . She has travelled around the world and is up to date with modern technology that the market is demanding for. Miss Tasnia has travelled many countries around the world and is also the director of Perag Socks Industries limited. He was born in 1951 and has completed B.Sc and M.Sc successfully. Saidur Rahman is an ex employee of Bangladesh Civil Service. He is also passing his successful career as chairman of Pendamic Fisheries Limited, Royal Denim Limited and Saidur Rahman Foundation Limited. 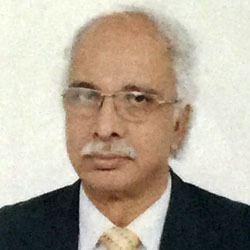 M. Jinnat Ali Mian was born 7 March, 1949 and passed educational life in University of Dhaka and Institute For Transport Studies, University of Leeds, UK. Jinnat Ali Mian was Lecturer in Economics, Kaliakoir College, Consulting Transport Economist & planner, Tehran Department of Transport, Iran and Proprietor, Bipul Corporation. After that he became Chairman nad managing director of Hollywood Fashions (Pvt.) Ltd, Hollywood Garments (Pvt.) Ltd, Union Sportswear Ltd and Pioneer Casualwear Ltd. Beside these Jinnat Ali Mian was elected as Second Vice President, Vice President, Director in BGMEA for 2 year term each.